I want to tell you one of the greatest men I’ve ever known. His name was Elmer Steenbock, my grandfather. 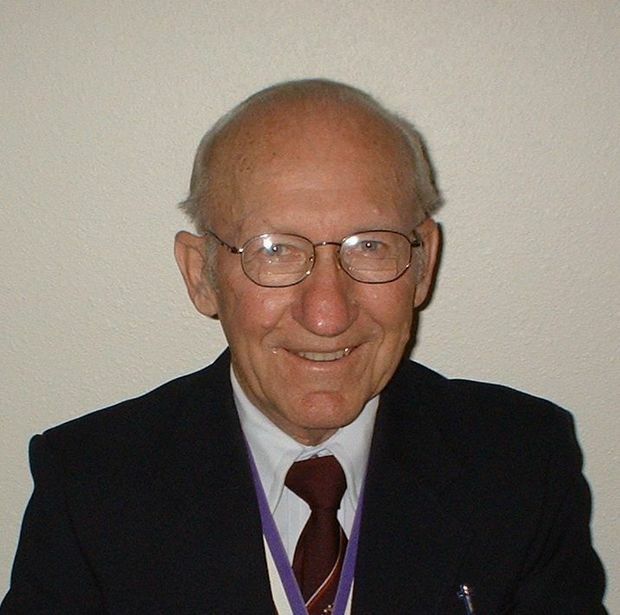 His story might sound similar to many of his generation – born and raised in the Midwest, fought and was wounded in WWII, married his highschool sweetheart, farmed for a time and then entered the ministry. After twenty five years as a parish pastor he retired to start a mission in eastern Russia, which he worked at over the next twenty years. He fathered seven children, and from them came twenty one grandchildren and twenty seven great-grandchildren. At the age of ninety, full of years, he passed away quietly in his sleep. These are the facts of his biography, but they don’t tell you who he was. He was a man who knew full well his need for a Savior, who understood the forgiveness and grace he had received from God, and lived fully in the joy of that understanding. Jesus said, “I have come that they may have life, and have it to the full.” I believe that Elmer had the as full a life as any man on earth can have. I have a treasury overflowing with memories of time spent with him and his wife. Sitting on his lap as he drove the tractor around his hobby farm. Singing “Good morning to you” (to the tune of Happy Birthday) over and over again as my siblings and cousins came to the breakfast table, and many other Gospel songs. Helping him light he fire in the fireplace on a cold December evening. Getting scolded firmly for breaking a door latch inside his camper, but then later that same day being invited up to his lap while he read a devotion to the family. 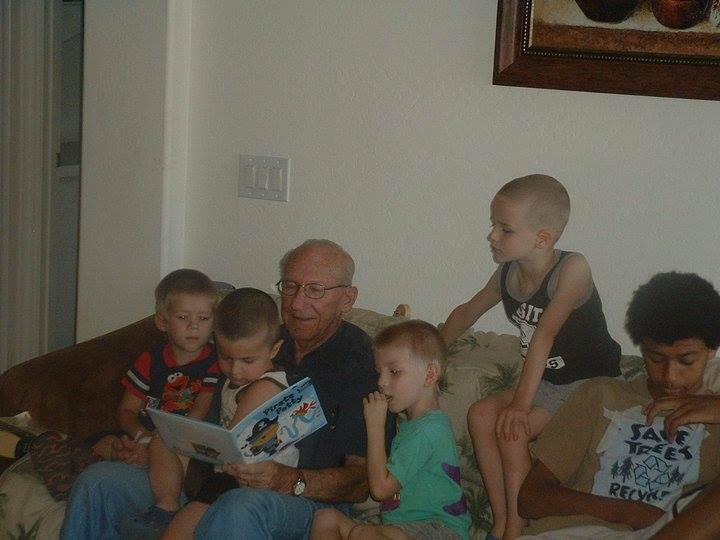 Reading to his great-grandsons a book about pirates and potty training. He had an abundant well of patient love for his grandchildren, a face inclined to smiling, and a pleasant laugh that he let loose freely. It was as natural as breathing for him to connect an event of the day or a news item to spiritual matters. He took his role of patriarch very seriously, always ready and eager to share a prayer or some thought about Scripture. He loved his ale, always had at least one or two cans in the evening, but never once did I see him drunk. There was a year when I was young that we were selling our house to move to a newer one the next town over. Grandpa came and helped us paint the outside of the old house to help us make a good sale. I didn’t understand then what it meant for him to make that time commitment, but being in ministry now myself, I see now that it was no small thing. But this wasn’t an anomaly; I don’t know how many times over my childhood he and Grandma came to visit, but in my mind’s eye I can see his face smiling in the congregation during the Children’s Christmas program or year-end plays. For being a pastor, when we visited he wasn’t busy over at church while the rest of the family spent time together. I remember him being around when we were there, and if I knew he went over to church, usually it was early in the morning before we’d get out of bed that I’d hear his truck pull out of the driveway. Yet, by breakfast time or soon after he’d be back. I remember a conversation when I was teenager about one of my girlfriends. I’d been dating a Mormon girl, and I think he must have met her once or twice. I went down and visited Grandma and Grandpa, and sitting at the table at dinner he asked me about the relationship, how things were going, how the differences in beliefs were impacting the situation. He cared, and he wasn’t afraid to ask. That made it all the more precious when years later I was able to introduce him to the woman I now call my wife. That particular trip, my wife and I were about to be married and we had just bought a car together – a ’93 Buick LeSabre. We drove it out to Washington to pick up some of my belongings and we decided to go down and visit my grandparents, especially since my mom’s mom had not met my bride-to-be yet. When we got to Grandma and Grandpa’s house, the first thing he talked about was how proud he was of me for buying that Buick, how safe and solid a car it was and how much I’d enjoy having it. “This is a good car,” he kept saying, patting it with his knuckles, his face beaming. After he finished talking about the car, he got a twinkle in his eye and said, “Say, are you a thirsty guy? I bet you’d like a beer, wouldn’t you?” It was the first time I’d visited his house after I came of age. We went inside, had ale and dinner, and then the four of us did devotion together. A few years ago I was preparing for our annual Premarriage Seminar, and I called him and asked him what he would say is the most important lesson about marriage that he would want to communicate to young couples. 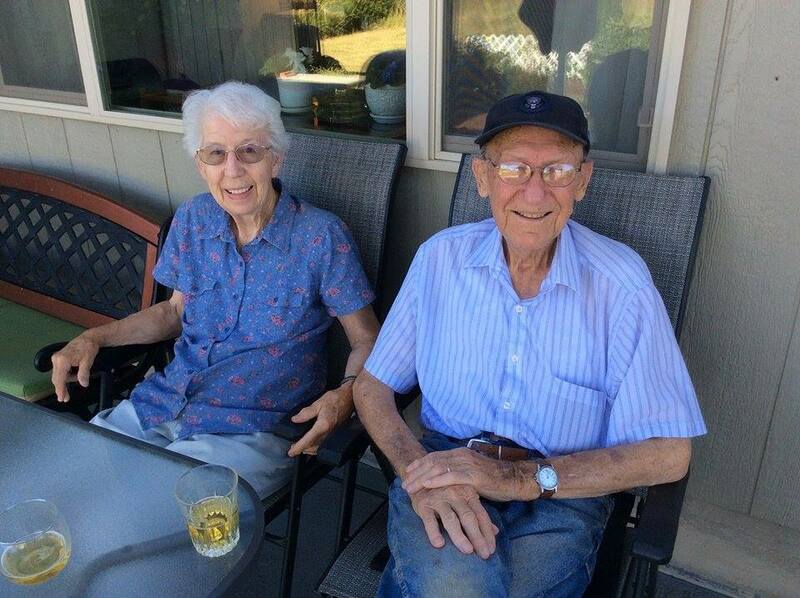 He and Grandma had just celebrated sixty three years together. He said, “Let me get back to you on that.” Later that evening he sent me an email with a one page document on forgiveness. He said that if a husband and wife can remember daily that they are forgiven in Jesus, and that if they would show Christ-like forgiveness to each other every day, that there is no more sure recipe for a lifelong and happy marriage. There is no better summary for Elmer’s life than that. “Know Jesus. That’s the only thing that really matters.” That was the core of his life, and it was evident by the peace, joy, and love that flowed out of him. I owe so much of who I am to him and his influence. He passed away this week. As I write these words, I’m on the way to his funeral. I already miss him so much. But I have taken to heart the lessons he taught in life, and I know I’ll see him again. I know he has gone home, and I will join him there someday. Thank you, Grandpa, for living your life to God’s glory, and for teaching me to do the same. I hope and pray I can do it even half as well as you. Tonight I listened to “White Christmas” by Bing Crosby with my wife and kids as we went about our evening. Has to be queued up at least once each Christmas season. It was a staple on the drive to Grandma and Grandpa’s house back when my brother and sister and I would pile into the backseat and my parents would make the eight-hour trip from the Snoqualmie Valley to Coos Bay, Oregon. Even though I know he was actually kinda short, I still picture a man eight feet tall, thin as a rail, with an adam’s apple like a golf ball. Listening to it now brings back intense images of my grandparents’ house, their church (and especially that church basement where we spent so many Christmas days), the smell of woodsmoke from Grandpa’s chimney, the cold, clean salt breeze off the ocean, and the taste of Grandma’s krumkake. Christmas in Coos Bay still holds a lot of meaning for me, though I haven’t been there for years. The thing that stands out most in my memories is how much of Christmas revolved around Christ. Maybe that doesn’t sound very profound, or maybe that seems like exactly the thing a minister would say. But really, when you think about how inundated we are at this time of year with so many things to distract us from the simple message of the manger, I consider it a blessing that the most powerful Christmas memories I have focus on Jesus.